A recent study led by researchers at the The University of Texas Health Science Center at Houston examined the effects of the drug valproate on brain volume in children diagnosed with pediatric bipolar disorder. Their findings, published in Psychiatry Research: Neuroimaging, demonstrate that brain volume decreased in the amygdala, a region associated with emotion processing functions, over a six-week period. 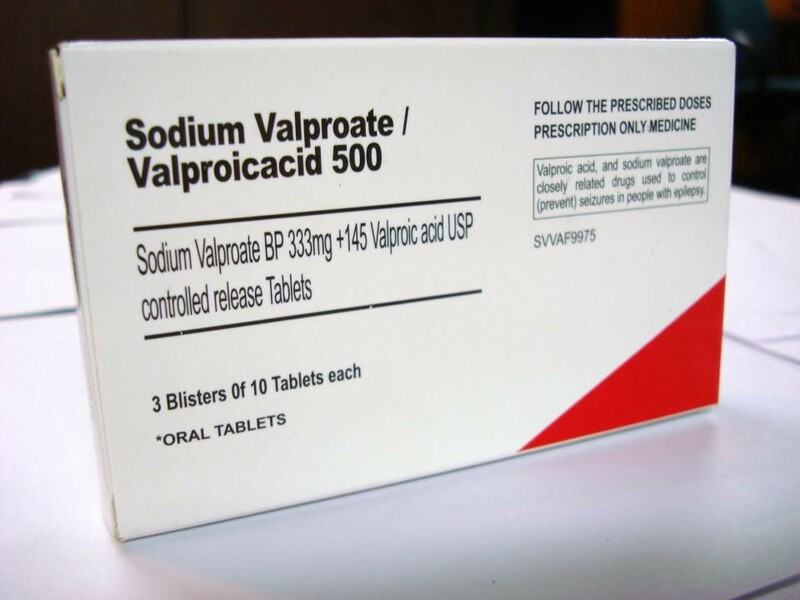 Sodium valproate (VPA), commonly marketed under the brand names Depakote and Epilim, is a drug prescribed to individuals diagnosed with bipolar disorder. While some studies suggest that valproate is associated with protective factors and plasticity in the brain, others do not support this finding. 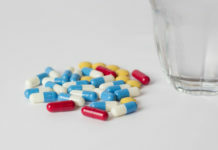 Trials conducted on animals have found that valproate may decrease brain cell growth in regions associated with memory and lead to cognitive impairment. Nevertheless, these studies have mainly examined the effects of valproate on adults diagnosed with bipolar disorder. The researchers of this study sought to investigate further the mechanisms of valproate in children diagnosed with pediatric bipolar disorder (PBD). Neuroimaging scans were used to examine several brain regions pre and post valproate administration. The valproate was titrated to standard clinical levels over a six-week period. “VPA was started at 250 mg orally twice daily, and titrated as clinically appropriate, on a weekly basis, to reach therapeutic levels (valproate 50–125 ng/mL),” the authors explain. The sample included 14 children (mean age = 13.43 ± 3.05 years old), 10 of which were males. 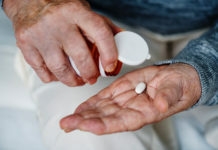 Criteria included participants that were not taking medication for the two weeks prior, except for lorazepam and ADHD drugs, and that participants met DSM-IV criteria for BD I, BP II or BP-NOS disorder. Other inclusion and exclusion criteria featured details about participants’ medical history and co-occurring diagnoses, among others. Results demonstrated a decrease in brain volume over time across all participants in a region associated with emotion processing. 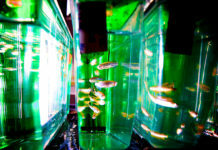 This interaction effect between time and brain changes was significant in the amygdala. These contradictory findings, the authors note, could be a result of varying dosages of valproate used across studies. “Our findings may also appear against the neuroprotective and neurotrophic effects of VPA reported in the literature,” they write. Previous articleSuicidal Tendencies, Part III: So, When Do I Get to Call the Cops? I can think of few things as despicable as experimenting in this way on children, especially if they do a more extensive study. I agree, Eric. More extensive experimentation on children with this drug is a deplorable idea. Especially given the reality that many or most of the children diagnosed with PBD are actually children who had the adverse effects of the ADHD drugs and antidepressants misdiagnosed as bipolar, even according to the DSM-IV-TR, and Robert Whitaker’s research. Thus, “Future large-scale, placebo-controlled, randomized studies with a longer treatment period” is a very BAD idea. Because when “Their findings … demonstrate that brain volume decreased in the amygdala, a region associated with emotion processing functions, over a six-week period,” meaning harm was done in the short run. This, of course, implies even more harm will likely be done in a long-term study. So children should NOT be experimented on in this manner. These researchers have lost their minds. szasz is correct (again). Psychiatry=brain damage. Maybe the profession should start off aiming to PREVENT brain damage by stopping this practice until it is proven safe, rather than continuing to potentially damage millions of brains until someone proves it is not. When I’ve invoked this phrase I’ve had doctors tell me that it isn’t really part of the Hippocratic Oath that they take. As far as I know if a person comes off these drugs carefully with non drug support (Yoga, Meditation, Exercise, “CBT”, “Talking Treatments”) – they can make Full Longterm Recovery. This view is also supported by the British Psychological Society. (I discontinued Lithium in 1982). Gosh. A disorder that they don’t know exists, a drug they don’t know how it might work, and now they don’t know if it works at all. But in just over a month it shrinks the amygdala by 2.5% and decreases 5 out of 7 brain volumes measured. Not exactly neuroprotective is it ? Wow, good catch! I totally missed that point. I like you titles, too – more honest. Did y’all know that researchers use sodium valproate/valpruic acid/depakote to create autism models in rodents…it’s a pretty well established so-called “translational” model now for magically divining autism treatments. I remember a time when I could see faces and feel emotions through other people’s emotional expression. I have facial memories of people before and around the time of the depakote, but ever-decreasingly after and I think it’s to do with not really seeing emotions in faces, when I have contact with someone I remember more, I even developed the strategy of covering my face in fights with partners so they could understand what information I have to work with when we fight. Ironically I was on depakote for bipolar and BPD which themselves were misdiagnosed complex post traumatic stress-related episodes (I don’t like the word disorder) during my resurfacing as a human being after being drugged with ritalin (I’m told I called it the zombie drug, though I don’t remember) from 6-12 yo for ADHD (I demedicated myself and got an ODD diagnosis for it…proudly) the source of my trauma. Does anyone know of others with similar complaints concerning the depakote, more to the point more researchers that are looking into this kind of effect on people? Wow, so it sounds like they are INDUCING autism-like symptoms as a “treatment”? And they consider this helpful?